Considering most of our lives are moving online, it was only a matter of time until art took the same turn. Digital art and animation have been around for many years, but that used to require large, expensive machines to handle the drawing and animation process. Those days have long since gone, and now we have many small, personal drawing tablets that allow every individual to take advantage of the technology, and express their skills. You don’t even need an office, just your tablet, desk, and imagination. 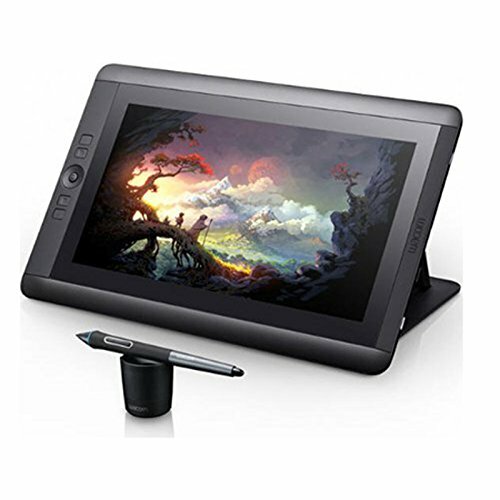 Below are our favourite drawing tablets that beginners can use to start with digital art and design, or professionals can use to continue projects or start new ones, from the comfort of their couch. The best tablet for beginner animators is the Wacom Intuos Pro. This tablet is simple, yet powerful and is so reasonably priced, it is the perfect entry-level tablet. It has 8192 levels of pressure sensitivity, allowing for a wide range of drawing and design opportunities. It is very customizable, and you can adjust almost all of the settings and buttons to your needs. Our favorite tablet for artists is the Huion H610 Pro Tablet. It is ideal for artists on the go, and even though the tablet is incredibly compact and portable, it still has a large drawing surface. The are multiple customizable buttons to adjust the tablet to your needs, and the tablet is designed to be used by left and right-handed users, ensuring the drag of your hand does not affect your work. The Huion KAMVAS Animation Tablet is our top pick for the best tablet for animation. The extremely high-resolution screen and the 8192 levels of pressure sensitivity make for a powerful and highly detailed tablet. 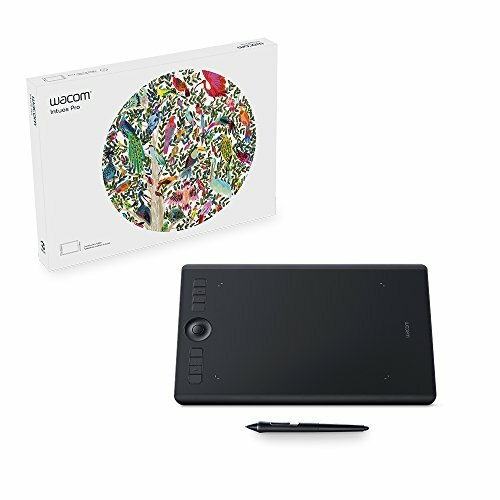 The fact that the tablet has its own screen ensures you can draw and work anywhere, and the powerful computer driving the tablet allows you to get incredibly detailed animations done without sacrificing speed or efficiency. The best tablet for illustrators is, once again, the Huion KAMVAS Animation Tablet. This tablet has a high-resolution screen with 8192 levels of pressure sensitivity that allows you to draw incredibly detailed images. The computer that runs the tablet is quick and powerful, and no amount of detail will slow it down. The buttons and pen are also customizable, allowing you to change the set-up of the tablet to fit your needs. 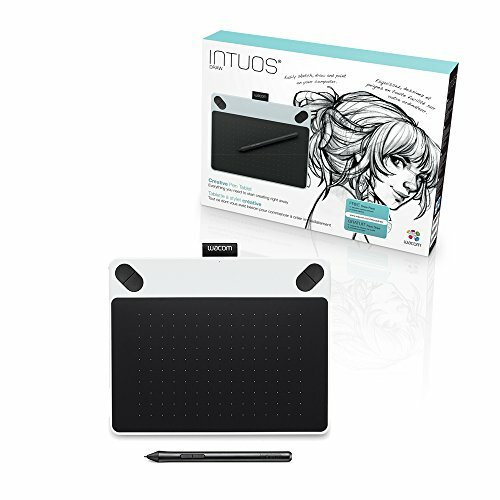 The Wacom Intuos Pro is a medium-sized, yet power tablet that is ideally suited for graphic artists of all kinds. The tablet is slim and lightweight but still has a large work surface, keeping the tablet compact, but not sacrificing any workspace. The tablet itself has multiple gesture capabilities that allow you to speed up your workflow. The tablet pen has natural tilt support and is battery free. The tablet has customizable Express Keys, Radial Menus, and pen side switches. Wacom also redesigned their devices and the new ones look slick, but their previous models still look pretty damn good. 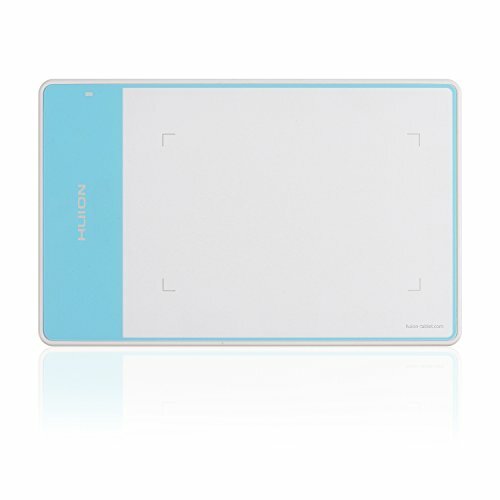 The Huion H420 Tablet is a relatively cheap, budget tablet with 2048 levels of pressure sensitivity. This means that this tablet is ideal for graphic artist beginners, but experts will find that it lacks a depth of functionality. The tablet comes with a full kit. 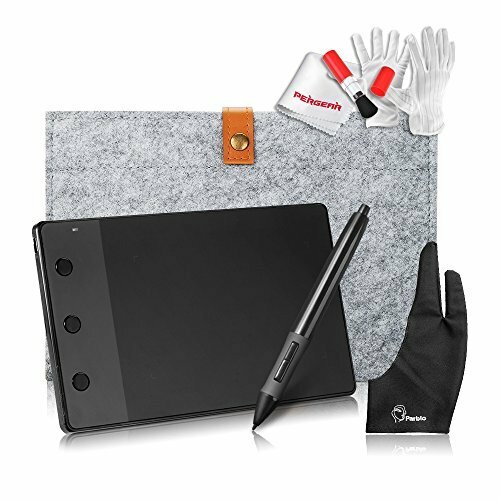 This kit includes the tablet itself, a digital pen with 2048 levels of pressure, a USB cable, a user manual, 4 pen tip replacements, a removal tool, a driver CD, a wool liner bag, anti-fouling glove and a cleaning kit. The Huion H610 Tablet is a lightweight, but a large tablet that is a great mix of size and functionality. The tablet itself has a paper textured surface, which not only makes you feel like you are drawing on a natural surface, but it prevents your pen from slipping and compromising your work. The tablet has 8 customizable buttons along the side, and 16 along the top. These buttons can be fully customized to suit your wants and needs. The tablet comes with a two finger glove that reduces hand to screen friction and prevents your hand from making any movements or strokes on the tablet. The Wacom Intuos Draw is one of the best beginner animation tablets on the market. Wacom is known as the leader of graphics tablets, and this one is no exception. If you are just starting in graphic art, this is the tablet for you. The Huion OSU Tablet is a simple and very well priced tablet that is great for anyone getting into graphic art. There are 2048 levels of pressure sensitivity, giving you just enough range to get into finer details. The tablet is relatively small and can easily fit into a laptop bag, a briefcase, or a carry on for when you need it on the go. The digital pen has two customizable buttons, while the tablet itself is suitable for both left and right-handed users. 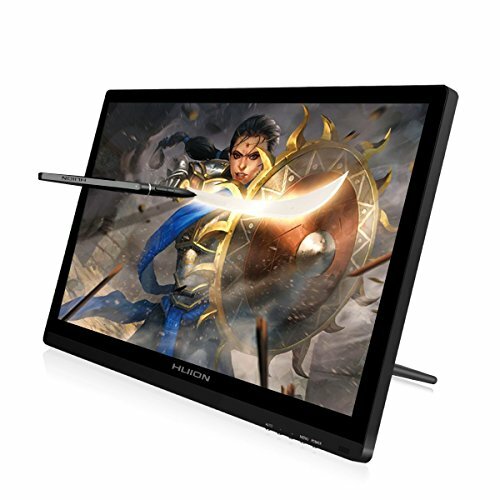 The XP-Pen Artist Pro is a high-end drawing tablet made for those who want to draw on-screen, such as dedicated and passionate artists and designers. It’s built for professionals with the utmost attention to detail and plenty of features to keep your workflow fresh and productive. 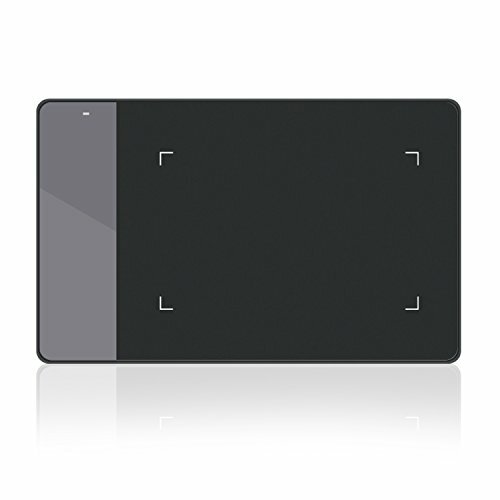 The tablet features a 200RPS display with full HD 1920×1080 resolution over a 344 x 193 mm active area. It’s a mere 11mm at its thinnest point, and features 8 shortcut keys, as well as arriving with a P05R Battery-free pen. This pen has 8192 levels of pressure sensitivity, 60 degrees of tilt recognition and a 200RPS rate to boot. The tablet also features 8 customizable shortcut keys, as well as a red dial interface which you can adapt to your workflow. This tablet has a vivid color screen, with anti-glare and anti-scratch treatment, making it perfect to work on for hours at a time. 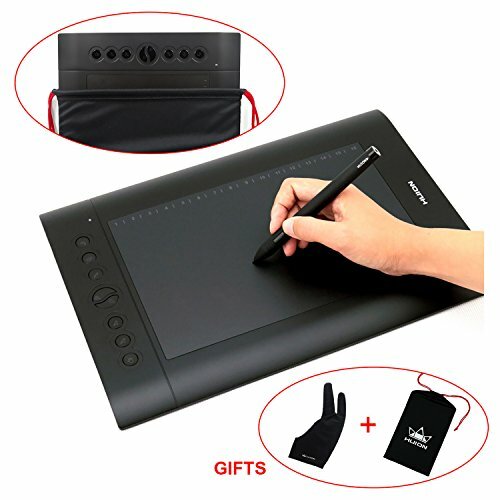 It’s a great choice for the professional digital artist, ideal for everyday use, and comes with a whole host of cables and cords in the package to make setup a breeze. The Huion 420 OSU Tablet is a simple, yet effective graphic art tablet that can easily be used by beginners and experts. It is compatible with all of the most popular art and graphics applications. The tablet has a 4×2.23 inch active area. The tablet is fitted with 3 programmable Express Keys that allow you to customize them to your needs. The tablet is very compact and light and can be easily transported wherever you may need it. The Wacom Cintiq 13HD is a slightly smaller alternative to the XP-Pen Artist Pro, again made for professionals, or those looking for a drawing tablet which can be used for hours on end without fatigue. While it ranks in at a slightly higher price point than its larger alternative, it’s got just as many features. It comes with a 1920×1080 display over a 13.3” screen, offering around 5 hours of battery life and 2GB of RAM. The included Pro Pen has 2048 levels of sensitivity, allowing you to accurately recreate hand-drawn styles. It also features the RockerRing, and four customizable ExpressKeys allow you to dial in custom shortcuts to speed up your workflow. 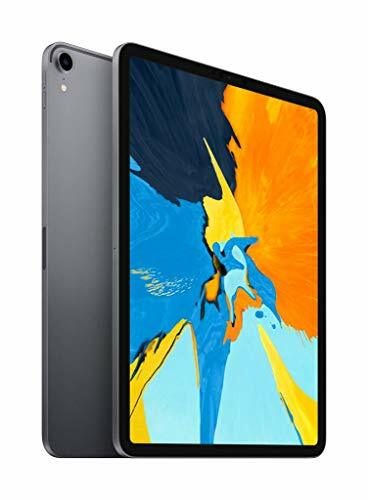 Overall this is a top-quality, compact tablet that’s great to use flat on a desk, at an angle or in even in your lap, which won’t leave you feeling drained or strained after a hard day’s work with it. Like most Apple products, the iPad Pro is the next generation iPad that is changing the way graphic artists design. Not only does it have all the capabilities of an iPad, but the massive storage space allows you to download any design and animation application available. The latest iPad Pro 12.9” comes in three options for storage size – all the way from 64GB to a whopping terabyte. 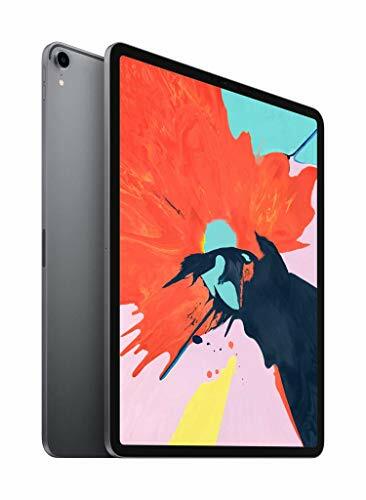 It has a curved-corner, 2732 x 2048 pixel, 12.9-inch liquid retina display with Promotion, True Tone and wide color, up to 10 Hours of battery life, and a USB-C connector for charging and accessories. Its A12X Bionic chip is one of the fastest Apple can offer to date, and the performance shows it. It comes with a 2nd-generation Apple Pencil and is ideal for a home-computer workstation replacement for the professional animator or designer. The combination of high functionality and great performance makes it a great tool all around, which won’t soon become obsolete with such top-of-the-line specs. The Apple iPad Pro 11 inch is the little brother to the 12.9 inch model. It’s got the same A12X advanced chip, a 12MP camera, 4K video recording, and 2nd-generation Apple Pencil that the 12.9” is fitted with. The iPad has 10 hours of battery life and can be used on the go, whether you are at work, or on a plane. It works great, both stood on a desktop or for portable use. The storage size options range from 64GB to 1TB which is quite a feat for a tablet, and the Wi-Fi / LTE options make it great for on-the-go use as well. It’s a great secondary option if the 12.9” iPad Pro isn’t for you, and will do all the same with just about as good performance. Leaving you stress-free and ready to get creative. The Simbans PicasoTab Tablet is a very versatile, all-in-one tablet that allows you to draw, design, watch movies, and be used as a regular tablet. If you are looking for something that does more than just allow you to draw or design, this is the tablet for you. The storage capacity allows you to store large amounts of data, images, and videos. You can use the Google app store to download the design applications you need, as well as be able to draw on the tablet and save all of your work. 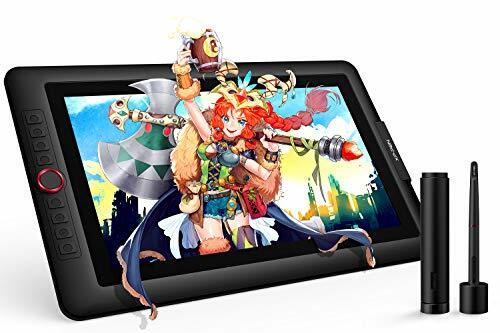 The Huion Kamvas Animation Tablet is a tablet with an interactive 1092 x 1080 resolution HD display. The display produces incredible color, displaying 16.7 million colors incredibly vividly. This incredibly high-quality graphics tablet has a very fast response rate and very little lag. The pen, with its 8192 levels of pressure sensitivity runs smoothly and quickly, and once again, with very little lag, if any. Although we have reviewed these tablets, it is essential to consider ergonomics and that’s why we also included a tablet stand review. 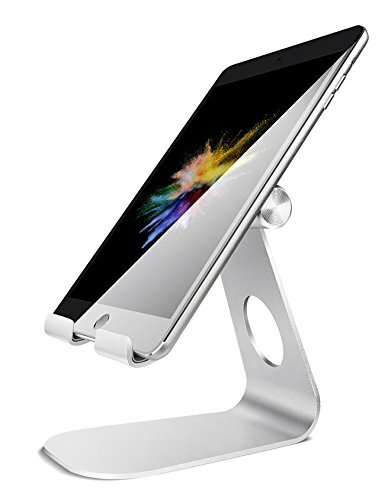 The Lamicall iPad Stand is a very sturdy, and fully adjustable stand that can be used for every size iPad and tablet. It is also ideal for viewing photos, videos, and movies, and is perfect for drawing and animation, using it as an easel of sorts. The stand is completely adjustable and allows for you to either use it horizontally or vertically, although we do suggest you use it horizontally for any tablet larger than 12 inches, to ensure it stays balanced. The AmazonBasics Tablet Stand is a simple, yet effective tablet stands that can fold up and fit into any bag, and then unfold to hold your iPad, tablet or Kindle. It’s simple design and sturdy materials ensure it’s long-lasting. 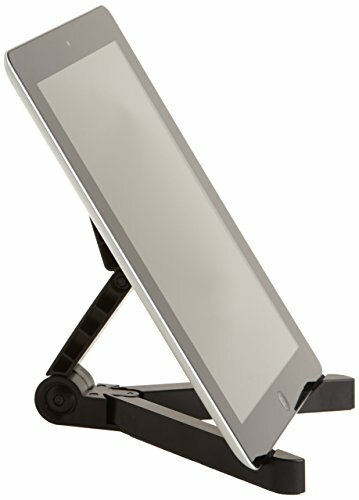 The stand can easily and effectively hold any tablet, with or without a sleeve or case, in a vertical or horizontal position, while the non-skid base ensures it stays stable, even when bumped. 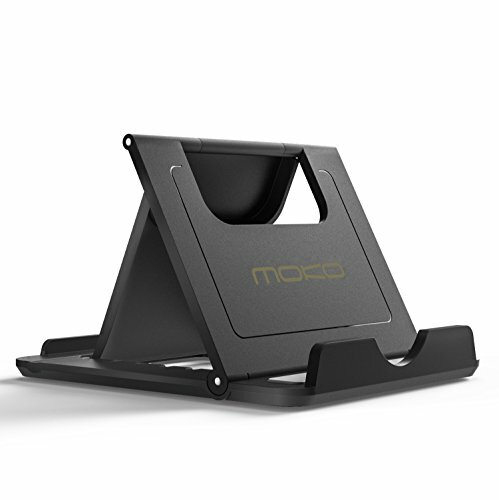 The MoKo Smartphone Stand is a cheap, versatile, and very compact stand that can easily hold any smartphone or tablet. This stand is designed for smaller devices, as tablets larger than 11 inches will fall off. The stand itself is lightweight and ultra-compact and folds flat to be stored in your pocket or bag. 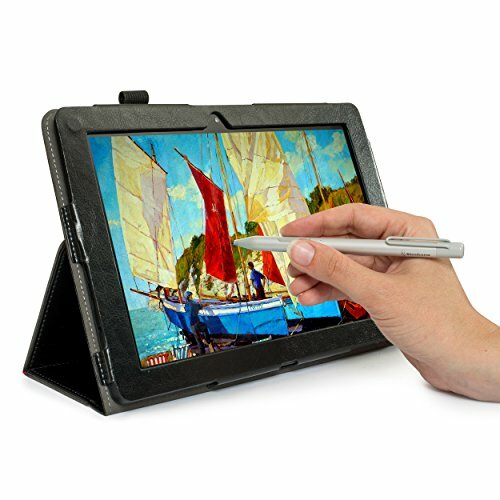 It has 6 adjustable slots for multiple viewing angles and can hold your tablet vertically or horizontally. When purchasing a drawing tablet, there are a number of aspects to take into consideration. Namely, its functionality, and like always, its price. There are a number of other considerations, but the price to functionality ratio is usually the most important. First off, the size. The size of the tablet actually refers more to the functionality of it, and not so much how easy it is to carry, store, or the weight of it. The size of the tablet will determine its input capabilities, and whether or not it has a built-in screen. Most smaller tablets require you to plug them into a screen, whether it be a monitor, TV or laptop screen. The tablet itself acts more like a writing pad, with your work being displayed on the screen. The bigger tablets most often come with a built-in screen, allowing you to use it as the input surface, as well as the display. These tablets are almost always more expensive, but they do have a lot more functionality. Pressure sensitivity refers to how much information is exchanged between the pressure of your pen or input, and the tablet itself. In simple terms, a tablet with pressure levels of 1024, will have less variation of input compared to a tablet with pressure levels of 2048. For example, a tablet with pressure levels of 1024 will only produce a few line thicknesses, whereas a tablet with pressure levels of 2048 will give you many more line thickness options. It really just depends on how detailed you need your work to be. The control capabilities of a tablet are mainly for personal preference and work speed. Some tablets have buttons on it that you can customize to improve your workflow and shortcuts. Some tablet pens also have buttons, once again, to improve your workflow. These buttons are almost always customizable, allowing you to add any shortcuts you may need. The higher-end tablets will also have these buttons on their pens, which adds another, more in-depth level of customization. What you have, and are willing to spend will obviously make a difference in which tablet you are able to purchase. The budget does play a huge part in buying a tablet that has all the functionality you need. The cheaper models often don’t come with a screen, and they also usually come with less functionality with regards to how customizable they are and how in depth you can get with your art or animation. The more expensive models will often come with their own built-in screen, are bigger, have a higher sensitivity level, and almost always will have more powerful functionality. These tablets are more for experts, as a beginner wouldn’t use all the tablets capabilities. The capabilities and functionality of the tablet are completely up to you. 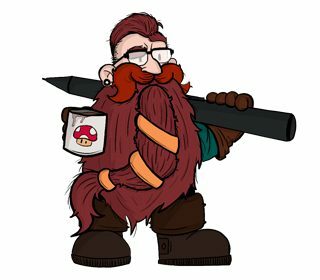 It depends on what you are going to be using the tablet for and how often, or in depth, you will want to get with your animation or art. Once again, the more expensive tablets will clearly have more functionality and capabilities, but if you are a beginner in graphic art, then you will not need every function a tablet can offer, you just need enough to start your journey. Animation tablets have very quickly come to the forefront for artists, animators and designers alike. They are able to capture every detail you need them too, are powerful art tools, but still affordable enough to be accessible to everyone. Whether you are a beginner or expert graphic artist or animator, these tablets will definitely take your art to the next level, even expose you to new methods and new ways of expressing your creativity. •	Using pens or similar.